The pure and refined design of the Prestige 350, a collaboration between the Garroni Designers and Jean- François de Prémorel, reveals the new image of Prestige. It generates feelings of well-being. On the exterior, the new flybridge design expresses the dynamic nature of the brand, with long, fluid lines and generous volumes. On the interior, the designers have sought harmony in every detail. The first 35’ flybridge motor yacht to be equipped with a sterndrive engine: for guaranteed performance and unequalled manoeuvrability. 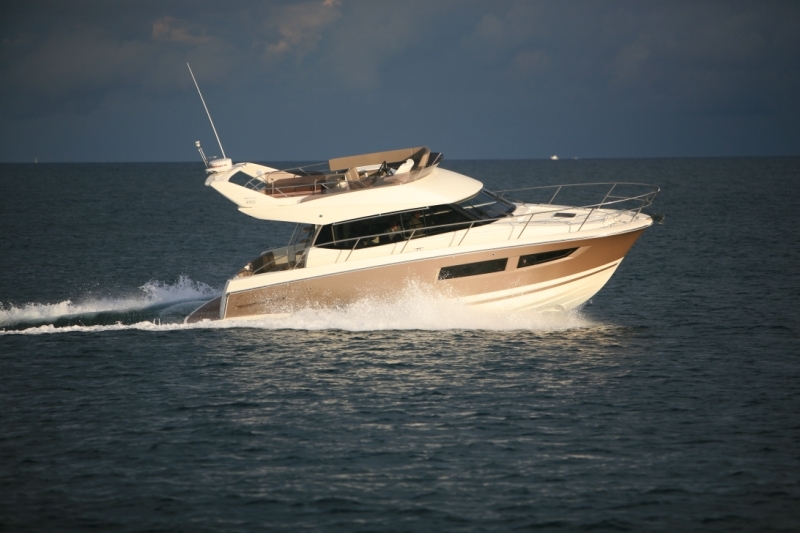 The Prestige 350 delivers a strong performance, in keeping with the spirit of the brand. The planing hull, with 3 strakes and a pronounced chine, is powered by twin Volvo Stern Drive D3.220 DP engines of 220 HP each, capable of exceeding 30 knots. The sterndrive affords 30 percent more power than a classic shaft drive, as well as significant fuel economy. The propulsion system yields the top performance in boats of this size, and is notable for its compatibility with the optional Volvo joystick, synonymous with ease of handling! 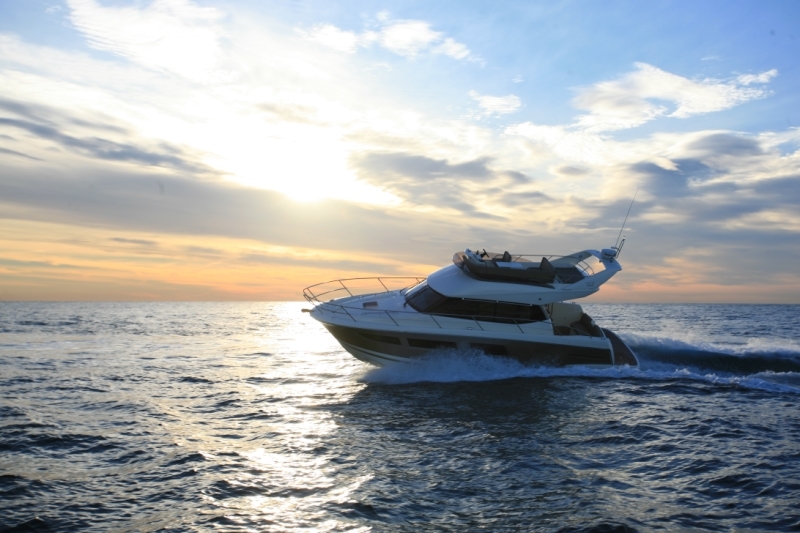 The 640-litre fuel tank and 320-litre water tank, for a total weight displacement of 6500 kg, allow for carefree cruising. 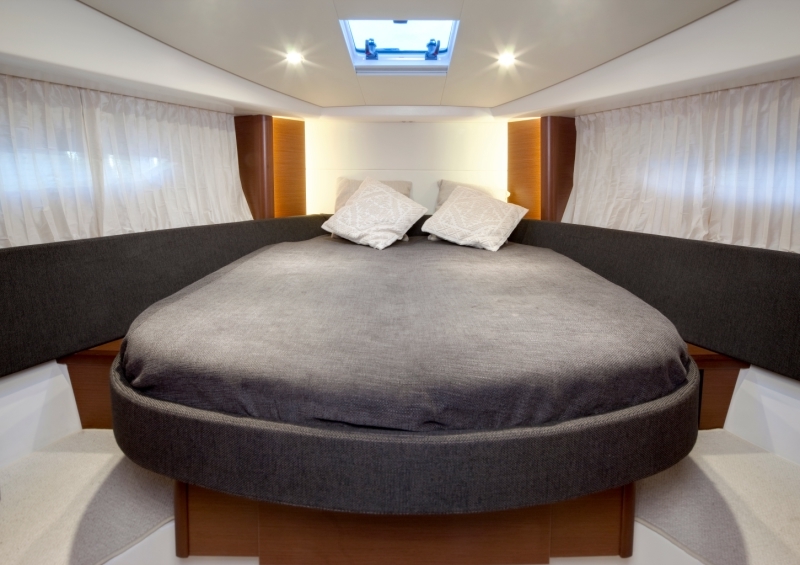 Watch words: space and light Light abounds onboard the Prestige 350! 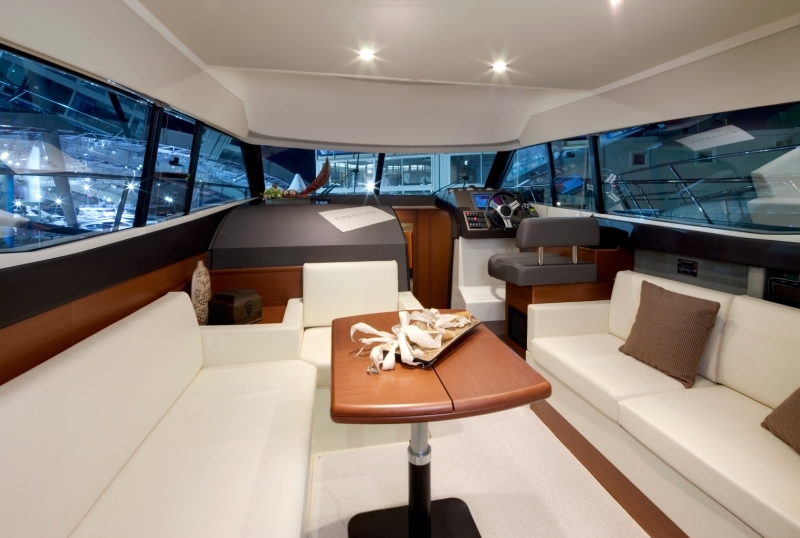 Natural lighting brightens the large saloon, which opens onto the cockpit across the entire width of the boat, while more filtered light streams into the wheelhouse through tinted windows, which run the length of the cockpit. 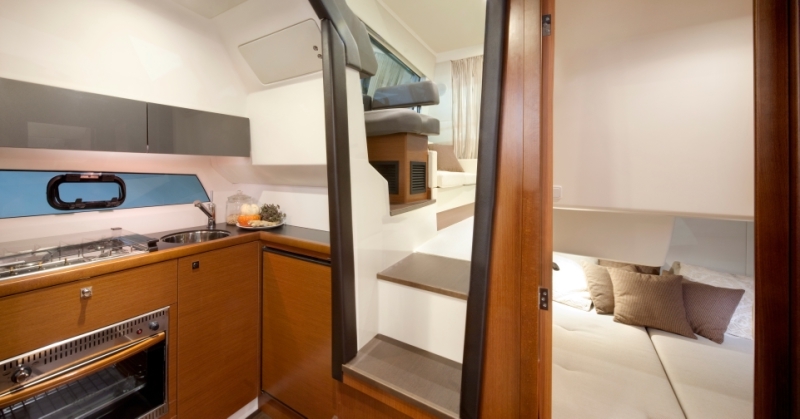 The owner’s cabin is equally bright, where long windows in the hull allow for a continuous view of the horizon. 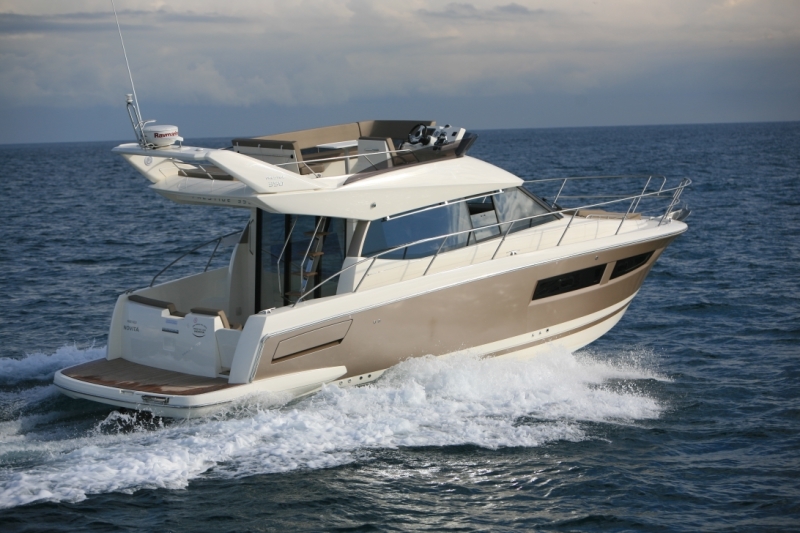 New “Generation 2” Prestige 350 The Prestige story continues… PRESS ANNOUNCEMENT A new model for 2011, this second-generation Prestige will not go unnoticed by followers of the brand. 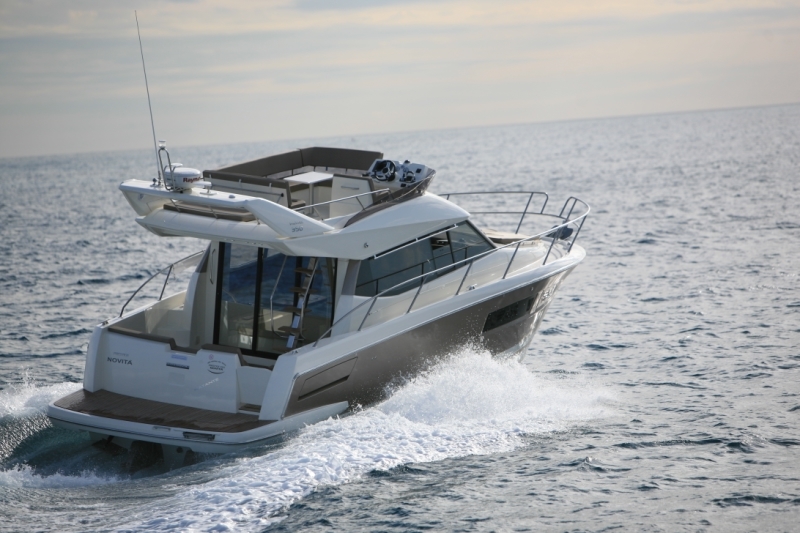 First presented at the “Grand Pavois” Boat Show in La Rochelle, then at the Genoa Boat Show, the Prestige 350 is enjoying a successful launch at select European boat shows. Generous, well-balanced living spaces! 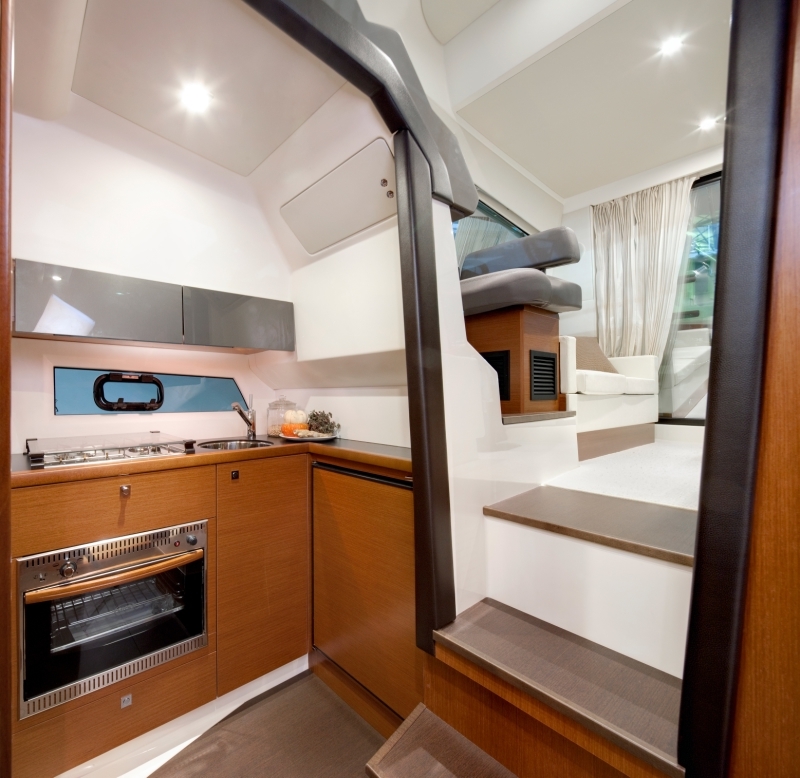 Space is maximised on the interior. 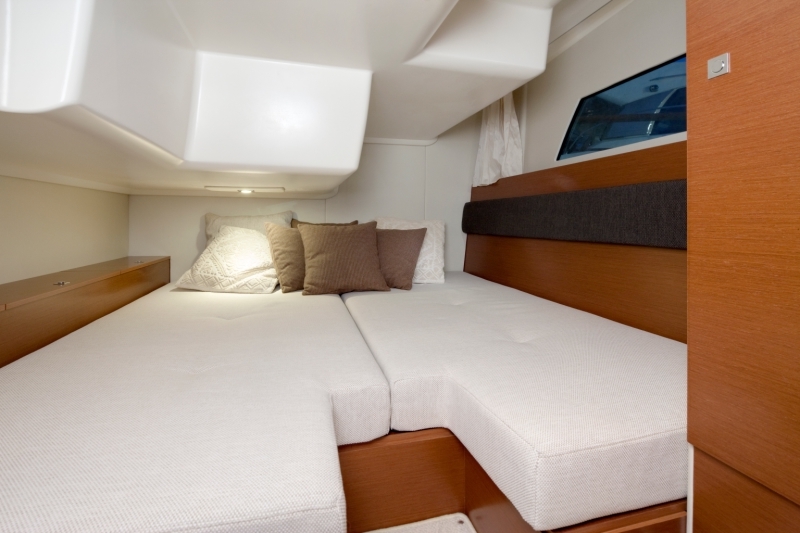 This is evident in the forward cabin, for example, which features an extra-wide berth, unmatched in this category of motor yachts, and in the second cabin, featuring a double berth that can be transformed into two single berths. The same is true in the generously sized, fully equipped galley, and in the head compartment with separate shower. 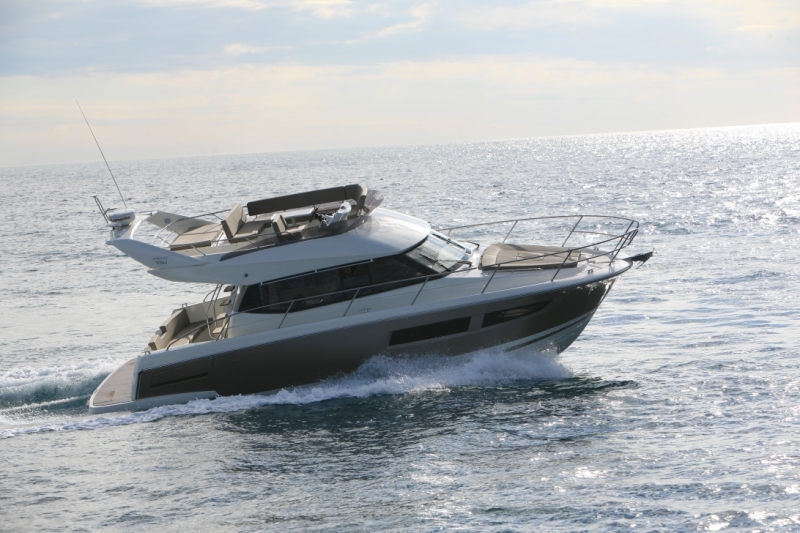 The Prestige 350 has all the luxury of a large motor yacht! Conceptualised in a pragmatic spirit, the spacious cockpit features generous storage. On the exterior, access to the overhanging flybridge is facilitated by an open stairway designed for uninterrupted views. It leads to an open helm with seating for two, an inviting table for dining al fresco, and a large sundeck for peaceful relaxation. European style A seaworthy motor yacht, both surprisingly comfortable and well equipped, the Prestige 350 affords a level of quality that is rare in her size category. As the first edition of the new “Generation 2” of the Prestige line, she offers a new perspective on cruising. The Prestige 350 sets a new standard, one set in a time-honoured tradition, with European style. She embodies the dream for a refined, seaworthy motor yacht of reasonable size – a boat her owner can be proud of from the first day onboard.